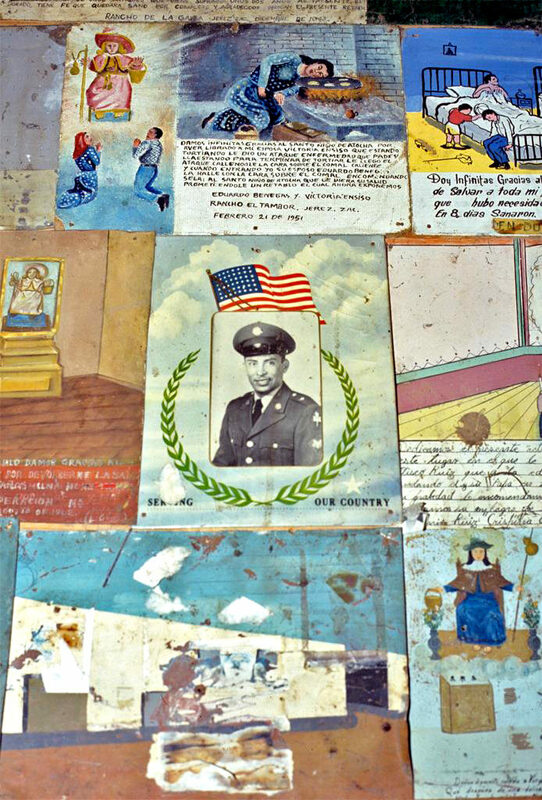 This is one of 170 stories documented and transcribed by Jorge Durand and Douglas S. Massey in their 1995 book and exhibition Miracles on the Border. Each story resulted in the painting of a retablo, an offering for miracles granted, usually painted on small pieces of tin. A reference question today reminded us that Massey photographed his collection of retablos and the images have been added to ArtStor, so that everyone can enjoy and even download them. Massey is the Henry G. Bryant Professor of Sociology and Public Affairs at the Woodrow Wilson of Public and International Affairs at Princeton University. 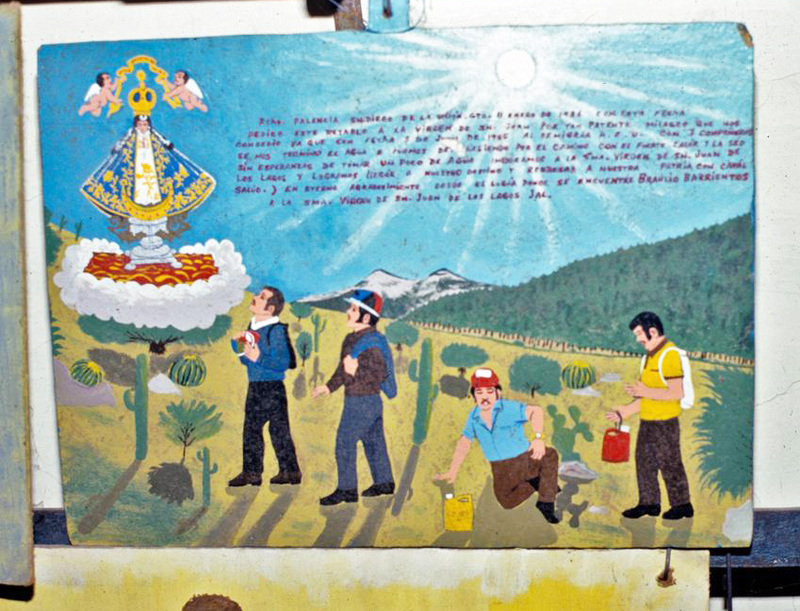 Since 1988, Massey has collaborated with long–time colleague Jorge Durand, research professor of anthropology at the University of Guadalajara, collecting and studying retablos — religious folk art produced for Mexican migrants to the United States. The term retablo, from the Latin retro tabula, or “behind the altar,” originally referred to the large paintings depicting saints, Jesus, or the Virgin Mary, which hung behind altars in Catholic churches. 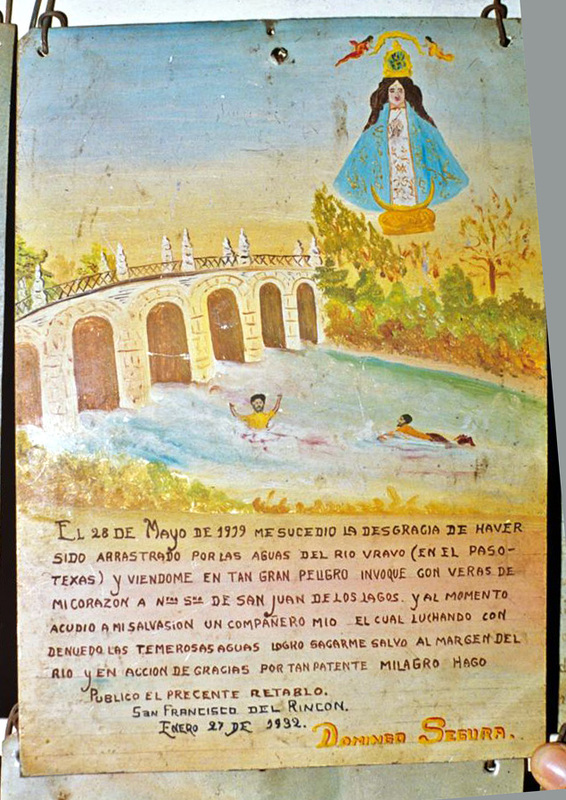 In Mexico, retablos, also called laminas, came to denote the small devotional paintings that devout Mexicans would commission as ex–votos, or votive offerings, given in fulfillment of a vow or in gratitude for divine intercession. 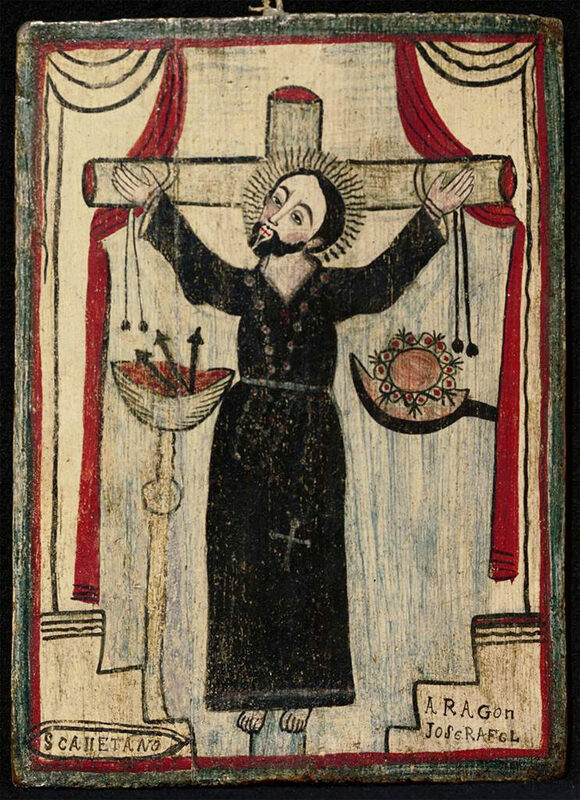 There are additional retablos on Artstor from other collections, such as this piece owned by the Museum of New Mexico, Albuquerque. This entry was posted in painting and watercolors on April 19, 2017 by Julie Mellby.